Divine presence. 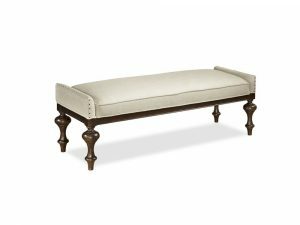 Extraordinary bedroom bench upholstered in clean linen with subtle nailhead detailing, turned bun legs completed in decadent sumatra cherry finish. Frame constructed with cherry veneers and select hardwood solids. 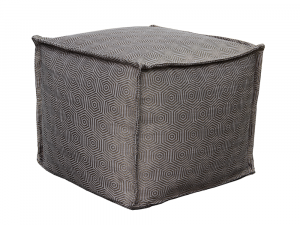 Providing both comfort and decorative appeal, this versatile ottoman is a great accent that’s functional and stylish. 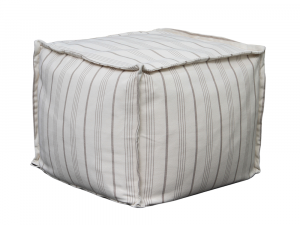 Filled with beds for firm yet comfortable support. Upholstered in Cafe De Flore fabric. Available to order in Pinstripe, Egypt Metal, Capri Blue and Bold metal fabric. Upholstered in Egypt Metal fabric. Available to order in Pinstripe, Cafe De Flore, Capri Blue and Bold metal fabric. 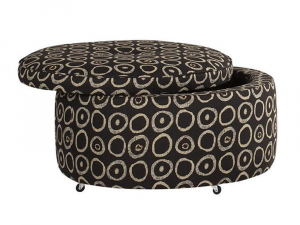 A unique addition to any home, this beautiful round ottoman lends eclectic style and offers functional storage space. 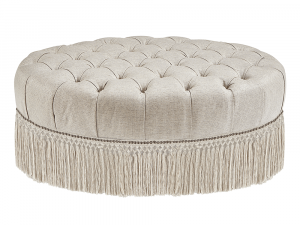 In store model upholstered in Frou Frou Zinc fabric. 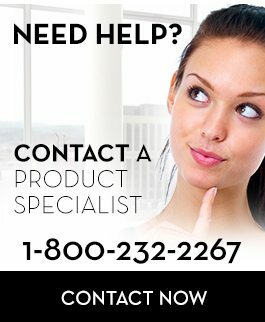 Available to order in alternate fabrics, and fabric grades with accent PU leather and in top grain leather at select prices. Irresistible luxury in the grandest tradition, this beautiful collection features velvety upholstery fabric, with pieces richly embellished by combinations of nail head trim, self-welting and stunning skirts. 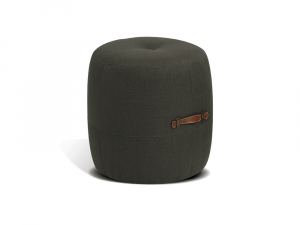 Kick your feet up and enjoy the plush fabric of this fun fuzzy ottoman, while you let your worries melt away. 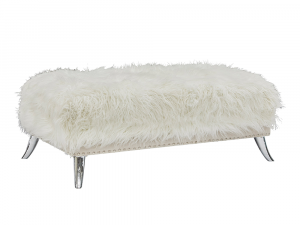 Faux Sheep skin upholstery with white PU accents. A sassy and chic addition to any contemporary home design. 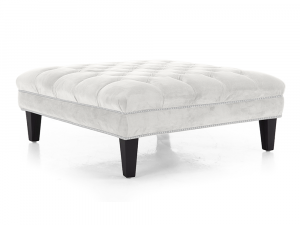 Featuring tapered legs, in a distinguished espresso finish, the ottoman is accentuated by intricate pewter nailhead detailing and a luxurious ivory fabric cover. 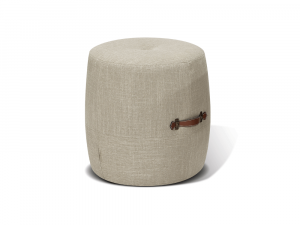 Add just the right amount of charm and sophistication to a variety of rooms with the antiquated appeal of The Jefferson Accent Stool. 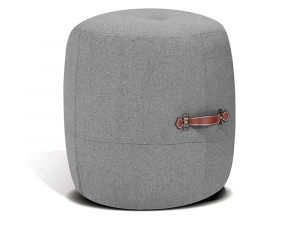 Featuring a sturdy hardwood frame, luscious padded upholstery in a spectacular charcoal colour, and a rustic bonded leather strap, the Jefferson brings eclectic pizzazz as an ottoman, a quick pull up seat or as an impromptu side table. Available as shown and in oatmeal, woolrich or khaki fabric. 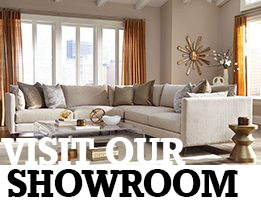 Add just the right amount of charm and sophistication to a variety of rooms! 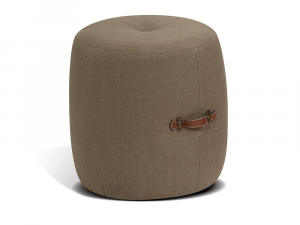 Featuring a sturdy hardwood frame, luscious padded upholstery in a spectacular oatmeal colour, and a rustic bonded leather strap, the Jefferson brings eclectic pizzazz as an ottoman, a quick pull-up seat or as an impromptu side table. Available as shown and in charcoal, woolrich or oatmeal fabric. Available as shown and in charcoal, woolrich or khaki fabric. 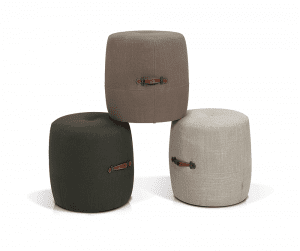 Available as shown and in oatmeal, charcoal or khaki fabric. 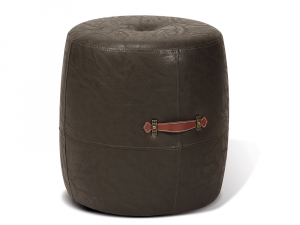 Featuring a sturdy hardwood frame, luscious padded leather upholstery in a spectacular Vintage Java colour, and a rustic bonded leather strap, the Jefferson brings eclectic pizzazz as an ottoman, a quick pull up seat or as an impromptu side table.